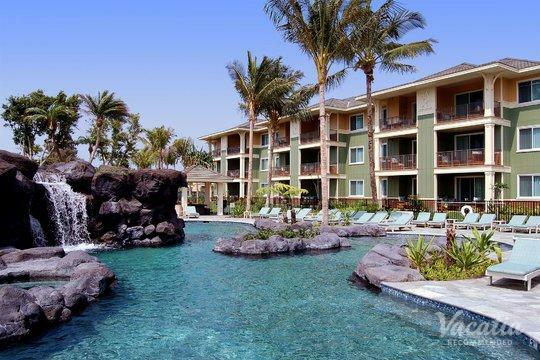 Big Island family resorts are a great way to make the most of your vacation on the largest Hawaiian isle. This destination is an Eden of natural diversity and beauty, with plenty of fun family activities like zip-lining and snorkeling. If you want to make sure that you find the best kid-friendly Big Island resorts, you should book with Vacatia. Our well-organized and easily navigable listings only include accommodation that has been family-approved. If you have any questions, you can simply start an online chat with a member of our Guest Care team. Finding kid-friendly resorts in the Big Island has never been easier. When you start planning your vacation in the Big Island, accommodation is one of the most important considerations. When you travel with your whole family, having a complete kitchen, a furnished living room, and an in-unit washer dryer is an ideal setup. When you book one of our resort residences, you'll have all these home comforts and amenities, but you'll also get a range of resort-style services to make your stay a truly luxurious experience. These accommodations include games rooms, fun pools and waterslides, relaxing spas, delicious on-site restaurants, children's programming, and more. You can prepare your snacks for the day in your own kitchen before heading out on a boat tour while housekeeping staff handle the clean-up. You can treat yourself to a spa massage while the kids hang out in the living room with a movie or head to the arcade. Basically, you'll get the best of both worlds. The Big Island, whose official name is Hawaii, is as large as all the other Hawaiian Islands combined. This Central Pacific paradise is home to a diversity of terrain, which includes lush jungle, black-sand beaches at Punaluu, green-sand beaches at Papakolea, lava deserts, and more. The Volcanoes National Park contains two active volcanoes, Mauna Loa and Kilauea. If you're lucky, you'll see lava flow directly into the sea. The most popular places for snorkeling are Kahaluu Beach Park and Hapuna Beach, where you can swim among manta rays and forests of coral. There are many other thrills that await the adventurous, including kayaking, sailing, and hiking. Of course, simply lazing away an afternoon on a soft, sandy beach is an excellent option. 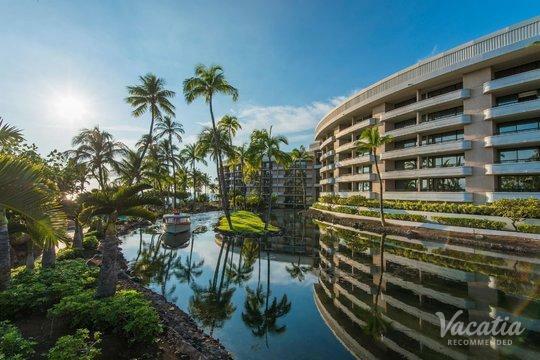 The Big Island is guaranteed to become a favorite vacationing spot for you and your family.